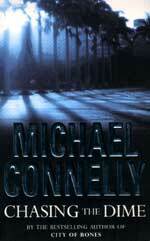 The plot revolves around a molecular scientist, Harry Pierce, who is trying to get corporate backing for his research into molecular computers. This apparently requires a budget in the multi-millions, and hero Harry is not eking out an existential existence in his garret, but has a couple of homes and a BMW, and an ex-girlfriend to keep. Moving into his new pad, he finds that his newly assigned telephone number has been used before - by a young lady who advertises her wares via the internet and he is belaboured with repetitive calls for her. The young lady, however, does not answer any of her other numbers, and Harry begins to think that she has come to some harm. For a boffin, Harry is a fairly astute detective, and in a short while has managed to find the lady’s private post box, her place of abode and her trysting place, and her partner for pay by the hour lesbian encounters. For an astute detective, our Harry does tend to revert to being a naïve boffin, and has soon alerted the powers that do not wish to be identified, that he is on the case. He receives a gentle warning which includes broken ribs and a busted nose, but he plunges on regardless. Without giving too much away, the nagging question while reading is always why this apparently reasonably sane man is doggedly following the tracks of a missing prostitute that he had never met, instead of getting on with the job in hand of convincing a likely sponsor to kick the can to the tune of $24 million. The review copy was made available by Bookazine, and should be on the shelves of major bookstores. The RRP is 350 baht, so it is not over the top for current who-dunnits. I found the plot line rather thin in places, right from the outset where the hero abandons his scientific direction to head off on what appeared to be a very weak excuse to become involved in the search for the missing person. The conclusion, was to my mind at least, too much of a turn around to be credible, but then, I have never spent time in American undergraduate halls of learning. However, for the who-dunnit fans this will keep them in their armchairs till they find the real reasons for everything about half a dozen pages from the end. For me, interesting, without being absorbing. Long before the whole fashion of doing un-plugged concerts, Rory Gallagher has always been doing acoustic sets in the middle of his electric concerts, giving all Rory Gallagher shows more depth, quality, and variety than your average run of the mill rock ‘n’ roll concert. In many ways Rory Gallagher had the image of your regular rock ‘n’ roll star without all the showy trimmings. You never saw Rory Gallagher in a limousine, let alone the idea of him wearing stage clothes. The thought of him having a hairdresser or likewise is positively laughable. But in many ways he was way ahead of his time and a great innovator within rock ‘n’ roll. So naturally you would of thought that this would of been the end of quality products from the man, as most posthumous releases tend to be scrapping of the barrel type efforts. But fortunately for us the fan, the Rory Gallagher estate has been left in the very capable hands of his brother and long time manager Donal Gallagher. He has successfully released all of Rory’s back catalogue, re-mastered with extra bonus tracks, plus a double C.D.’s worth of live material taken from the B.B.C. archives, which contain some of the finest Rory Gallagher live material this dog has ever heard. Yes, I do have ‘Live in Europe’, ‘ Stage-Struck’, and ‘The Irish Tour’. 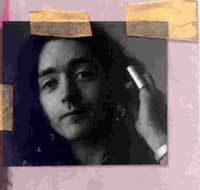 Now in 2003 we get an all new collection of songs put together by Donal Gallagher (4 completely different versions of tracks Rory Gallagher had recorded before, and 10 new ones to his repertoire, recorded between 1975 and 1994.) At first I was skeptical of this collection, but on the demands of Pattaya’s leading Irish musician Declan Casey, I slipped the disc into my player and was immediately enthralled. It is the perfect combination of old and new songs, all of varied pace, favoring Rory Gallagher’s acoustic side. In fact ‘Lonesome Highway’ is the only song to include anything from the famous old Gallagher battered Stratocaster. The roll call of the famous friend with whom Rory collaborated is also very impressive. The album opens up with Rory Gallagher in 1977 with the beautiful but melancholic title track ‘Wheels Within Wheels’, a fine start to any set of songs. Then in complete contrast we have a song from a short tour Rory did with three of his idols (and he was probably theirs). Under the title of ‘Guitarists Night’ the lineup was David Linley, Richard Thompson, Juan Murtin and Rory. During the performance they would mix and match the four guitarists’ styles. This is a number that Rory started doing on stage with Juan and is some of the most tantalizing flamenco guitar that you are ever likely to have the privilege to listen to. Since the release of ‘Irish Tour’ in 1074 the Tony Joe White, ‘As Crow Flies’, had been a firm favorite in any Gallagher set. For the first time I hear here the studio acoustic version, and a very fine rendition it is, too. ‘Lonesome Highway’ is the only track on the album featuring the Rory Gallagher Band recorded back in 1975. It’s a little gem and could of fitted into any of Rory’s studio albums. The playing of Lou Martin, Ro De’Ath and especially bassist Gerry McAvoy show just how much they were in sync with their leader. Rory Gallagher had long admired Martin Carthy. The collaboration between the two of them, together with harpist Maire Ni Chathasaigh and Chris Newman, showed the respect was mutual. On this haunting instrumental ‘Bratacha Dubha’ the music’s coming over as Irish-Elizabethan in texture and is perfectly placed in the middle of this collection. Next is a lovely short instrumental between Rory and Bert Jansch, which, although only just over two minutes long, is quite mesmerizing. But you are snapped out of your revere by a blast of ‘Barley and Grape’, a collaboration between Rory and the Dubliners, which must represent the most fun a bunch of musicians can have in a studio. And if they had not been having a wee dram whilst they were recording this, they certainly were before, with the hilarious banter between Rory and Dubliners’ vocalist Ronnie Drew. This is followed by two traditional arrangements by Rory collaborating with the doyen of European folk, Roland van Campenhout. They only leave you with the desire that the two of them had found the time to get together for a whole albums’ worth of material. The next three songs are the only live recording on this session and are the most surprising as well as the disc’s central focus. When Rory Gallagher was playing at the Montreux Jazz Festival in 1994, who could of foreseen that when Bela Fleck walked out with his banjo to join Rory Gallagher that they would blend so well together? Especially as they had never spoken to each other before; the two just sitting down to play in front of this multitude of people. You only have to hear the crowd react to hear what they thought about it. In all it only lasts 10 minutes, but that’s O.K. That’s what the repeat button is for on your C.D. player. It is the ultimate ‘I am not worthy’ moment. ‘Goin’ to my Hometown’ was a firm live staple for Rory Gallagher, his tribute to the era of Skiffle. It is perhaps fitting the only studio version known recorded with Lonnie Donegan, and a rip roaring version it is, too. Lonnie Donegan sings the backup refrain with plenty of gusto. 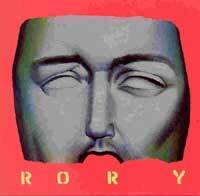 As Rory had now given up his no singles policy, it’s a shame this was not released at the time of its recording. Its footstompin’ rhythm would surely have gained Rory some commercial gain in the fickle Top 20. The songs close out with a very satisfying reflective blues. A wonderful collection of the warmth and comradeship Rory Gallagher spreads - a joy to the ears. To get more of the electric energy created by Rory Gallagher it is worth getting one of his previous live albums, but this is an absolute must for any lover of good music.